Tags: Las Vegas, Leon Tsoukernik, Matt Kirk. Tsoukernik said that the booze was ‘sufficient to visibly intoxicate and impair’ him and therefore ‘induce him to play for large sums’. He claimed he was so intoxicated and tired that he needed the dealer in Ivey’s Room and Kirk to help him count his chips. He also said he ‘misread’ his cards during the match. He pointed that the casino should have stopped the game. His team of lawyers said Tsoukernik was suffering from ‘extreme fatigue’ during the game that was already past 5 a.m. Tsoukernik claimed Kirk was aware of his condition but still chose to continue playing against him. 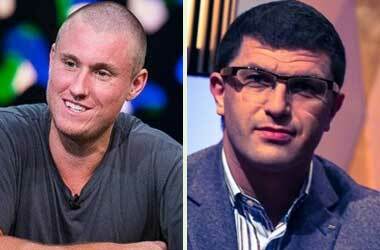 In a span of just over an hour, Tsoukernik lost $3 million. Kirk passed chips over to him across the table in increments of $500,000, $500,000, $1 million and $1 million. Judge Linda Bell ordered Tsoukernik’s lawyers to pay for Kirk’s legal fees accrued from defending against the counterclaim. The judge said that Nevada gaming regulators could investigate on the accusations against Aria casino, as the Nevada Gaming Control Board is the entity that handles disputes and complaints between gamblers and casinos. Kirk’s lawyers said that their client was not involved with Tsoukernik’s intoxication. Richard Schonfeld, one of Kirk’s lawyers, said, “There’s no factual allegation that Mr. Kirk ordered him a drink or anything of that sort. With the countersuit dismissed, Kirk is still pursuing the unpaid amount from Tsoukernik under claims that he was the victim of “unjust enrichment” and “fraudulent inducement”. 8 comments for "Court dismisses Leon Tsoukernik’s Countersuit over Booze-tinged High Stakes Poker Game"
Nothing new in the Lord`s vineyard! The bills are ever difficult to pay, especially bet´s bill. But I don´t understand why his lawer admit his case. I think that his lawer saw an oportunity to continue to exploid his weaknes and also charge your fee on Tsoukernik´s back. It´s very child argument. "I haven´t guilty, the other allows me to make me drunk and to do these". If it was accepted all the prisions would be empty! This story is finally over and it looks it didnt end good for tsoukernik. It was very difficult to win this one. At the end his fault playing with all that money. Although, while being drunk, lots of things can happen. This case is absurd from my point of view. Leon Tsoukernik must to pay this money because no one forces to eat or drink. If Leon was under the influence of alcoholic beverages then bear the consequences. If he has no money to pay must to sell the casino or something else. Lawyers win most of the times, no matter the result. So i agree with that remark. But at the end it was a long shot winning that case. He gambled, he lost, now he must pay. I like it when there is a live stream even,.. It reminds me on a few years back,..
were a players only drinked,..bloody mary's the whole event,..
And when he was ft he was totaly wasted,. it's funny this, but when it comes to playing for big money it's no longer fun when you're drunk. Is about 3 million dollars on the respective day. Of course this casino owner Leon T. is not right but i would forbid games when you're drunk for all.